Merseyside Police is appealing for information after a quantity of cash was stolen from the home of an elderly woman in St Helens. At approximately 10am on Wednesday, January 4 the occupant of a house on Howard Street, Thatto Heath, was in the front garden of her home when she was approached by a man who asked for a pen and paper to leave a note at a neighbour’s house. The woman went into here house and the man followed her inside before making his excuses and leaving. 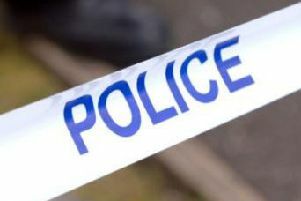 It is believed the same man approached the house for a second time at 2.30pm on Saturday, January 7 and asked the same question and once again followed her into the property. He then left at which point the woman realised a purse containing a quantity of cash had been stolen. The man is described as a white male, in his 50s, with short grey hair and wearing a long jacket. The woman was not injured but was left badly shaken by her ordeal. House to house and CCTV enquiries have been carried out in the local area. Detective Constable Jeff Huxley said: “I would appeal for anyone who was in the Howard Street area either on January 4 and 7 and saw a man fitting the description to contact us. “We would always advise people to be vigilant when dealing with strangers. “The main thing to remember is that you don’t have to answer your door to them and it is not rude or impolite not to let them in. Anyone with any information is asked to call on 0151 777 6881 or the Crimestoppers line anonymously on 0800 555 111.